Time is money, and managing your wealth can be overwhelming. At Tillett Financial, we’ll protect and grow your assets so you can focus on enjoying them. Tillett Financial specializes in preparing your family to handle the unexpected. We thrive on giving clients confidence in their future. Rising education costs require a forward-thinking plan. 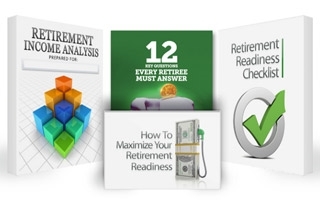 Tillett Financial can help you prepare for one of life’s biggest investments. With McIntosh, CPA, LLC – Jordan, an Indianapolis CPA, will help manage your affairs so tax season doesn’t seem so daunting. 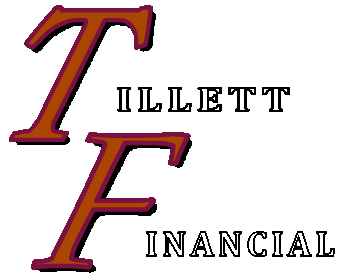 Tillett Financial is a comprehensive financial services firm committed to helping our clients improve their long-term financial success. Our customized programs are designed to help grow, preserve, and conserve our clients' wealth by delivering a high level of personalized service and experience. We encourage you to explore our site and learn more about the services we provide. Should you have any questions or would like more information on our firm, please feel free to email us at [email protected] or call us at 317-467-4441 or Toll Free 888-326-7020. We look forward to hearing from you. One-size fits all policies are best left to vacation bike helmets. At Tillett Financial advisors of Indianapolis, IN, we focus on tailoring our plans to not only fit your current situation, but also provide a foundation for future growth. No matter where you are in your financial journey, we endeavor to take you to the next level. Whether you’re a party of one or six, Tillett Financial customizes your investment strategies to fit your current needs and future goals. We believe small businesses are the backbone of America. At Tillett Financial, we've helped many Indianapolis area businesses and we will do our utmost to help your business thrive.